Eager to start the Kickstarter! On December 2, 1805, after pretending weakness and renouncing the advantage provided by the Pratzen Heights, Napoleon defeated superior forces in number, in what would become known as "the battle of the three emperors": Austerlitz. Austerlitz 1805, from Trafalgar Editions, recreates the conditions of the battle, from the forces involved by both sides, with all the historical rigour, to the foggy conditions that conditioned the first part of the battle. 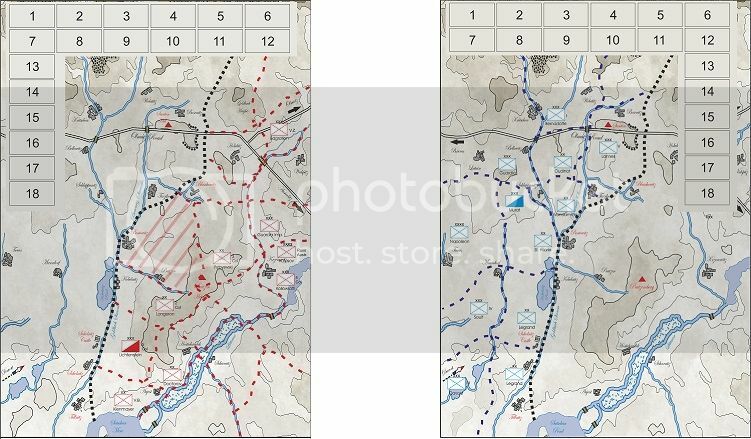 Despite its historical fidelity, Austerlitz 1805 allows you to rewrite the history and obtain a different result and explore alternative strategies during the battle. 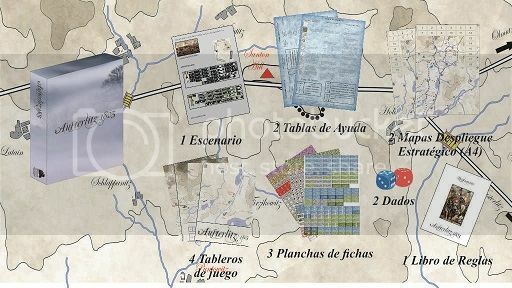 A game for 2 players or more, with an approximate duration of 90-180 minutes, Austerlitz 1805 uses an innovative game system, bringing mechanics from miniatures to a boardgame without hexagons or zones, which allows us to enjoy all its aesthetic splendor. Each counter represents an artillery battery or an Infantry or Cavalry brigade. Elite units can also be found on both sides, such as the Guard Units or Oudinot's Grenadier Division, commanded by Durac. 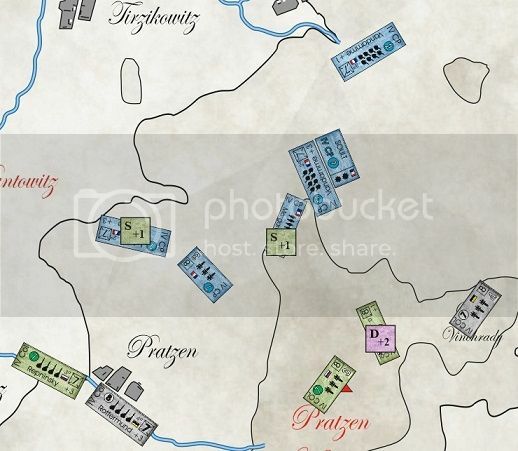 Using templates for artillery movement and range and a clear map with no hexagons or zones, Austerlitz 1805 also incorporates a simple sequence of play and a fluid game system, in which the movement capacity and range of artillery fire are measured using templates. After the Norway 1940 crowdfunding, Trafalgar: Line ships and Waterloo 1815, in Trafalgar Editions we plan to launch Austerlitz 1805 through a Kickstarter campaign on April, 30th 2019. I think Erax is out of town for the week, and players may be spotty over the coming Easter Weekend, so don't be surprised if play slows down for a while. I've p-mailed Erax to alert him that Field Consul Plautius is the PM now. As a show of good faith, I will recuse myself from the post in favor of Erax and give him the task of assigning the next consuls. I am hoping that this will persuade the group that my intentions are honorable and not driven by lust for power. I am to propose 2 consuls, apparently. I was braced for a prosecution. Not quite sure who we need. Ooooh, Gladius! -- I love that game so much. Works perfectly fine on PCXS2, too! "Leave the Gladius, bring the cannolis"
In case you're wondering, Manlius of the Militarists would now be rather close to automatically winning the game, since his Faction is now 30+ points in the Influence lead, and he himself is 8 points ahead of the second place senator(s). However, thanks to the recent Law, no one can win the game automatically anymore.